Take a private tour of magnificent homes, with their lush gardens, elegant courtyards, and inviting pools set amid breathtaking landscapes. 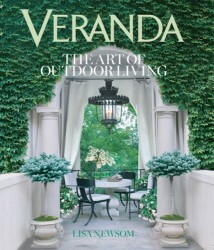 This lavish new book from Veranda magazine offers a wealth of ideas for exceptional outdoor rooms and spaces, all created by the world’s best designers. Broken down into classic, modern, romantic, and exotic styles, these are among the most spectacular environments ever featured in Veranda.